There are some times in life when only chocolate will do. At least, in my life...and if you're reading this, I am guessing in yours. 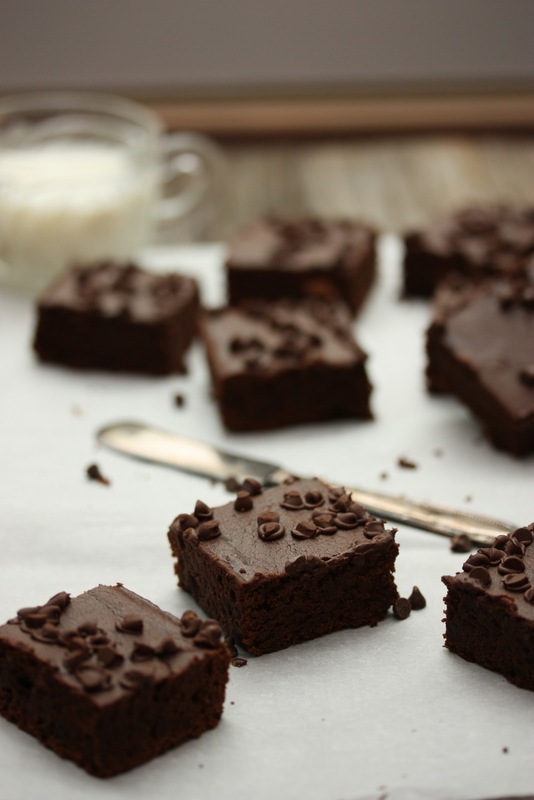 I recently stopped by the Meal Makeover Mom's Kitchen to see if they would share their #1 most searched recipe of their award winning Meal Makeover Moms’ Kitchen blog - Fudgy Black Bean Brownies. When they agreed, I gleefully headed back to my own kitchen to get cooking. My results, in a word? Sublime. I loved how simple they are to make-they take just about three minutes longer to make than a brownie mix. To boot, they are gluten-free, and deliver that essential rich, chocolatey taste I crave, but without a side of snooze that can come from butter-and-flour heavy confections. Plus, each brownie boasts 2 grams of fiber and 3 grams of protein-respectable nutrition creds for a dessert. For maximum lean and green benefits, I'd recommend using high quality, Organic or Fair Trade dark cocoa power and chocolate chips, made from least 70% cacao. Click HERE to get the full recipe and directions, directly from the Meal Makeover Moms. I am also loving their stellar new mobile recipe app, MEAL MAKEOVERS-check it out: it includes over 70 mom-tested, kid-approved “makeover” recipes for breakfast, lunch, dinner, and snacks-including vegetarian, gluten free, and dessert options. Perfect to help you meet any New Years Resolutions you may have around "eating better". Available in the iTunes store.